And Promotional Products such as pens, mouse pads, sports items and stickers. EmbroidMe literally has thousands of items ranging from name-brand goods to their own high-quality, private label line. EmbroidMe in-store personnel are pros at helping you create the top-quality look and feel you want, and can embroider almost anything. 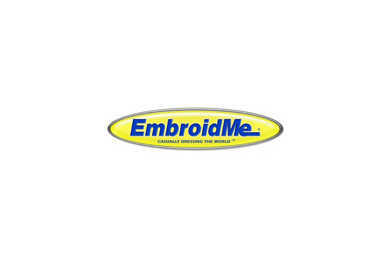 Customers can bring their own logo or design, or take advantage of EmbroidMe’s in-house art and logo department. Either way, there’s no such thing as a ‘minimum order’. Production needs are handled in-house, saving time and money.